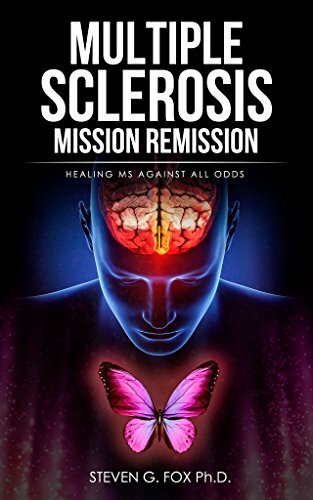 This book describes the chronology of events that led up to getting diagnosed with multiple sclerosis. Dr. Fox describes in depth the family dynamics and child abuse he believes laid the foundation for being susceptible to getting MS. It is a detailed look at how a psychologist constructed a treatment and personal approach that sent Multiple Sclerosis into remission. The many medical approaches are described in depth. Medications are seen as primary in the initial and acute stage when first diagnosed. Alternative, spiritual, Eastern, psychotherapy, daily living, and diet approaches are covered in this guide on how to cope with chronic illness. Multiple sclerosis is viewed as a disease where many factors come together to trigger the illness. The key to sending an individual's MS into remission is seen as finding the unique combination of factors that will tip the scales into sending multiple sclerosis into remission for that person. Given that the disease is idiosyncratic to the individual, not all approaches detailed in this book will likely work for a given individual. On the other hand, it is likely that many of the approaches will work because they are generally healthy, in the case of alternative and psychological approaches. The medical approaches are specific to multiple sclerosis and have been successful for many people. The underlying philosophy is one of using primarily medical approaches when first being diagnosed with the disease, and then bolstering the fight against multiple sclerosis with generally healthy psychological, physical, spiritual, and alternative means.